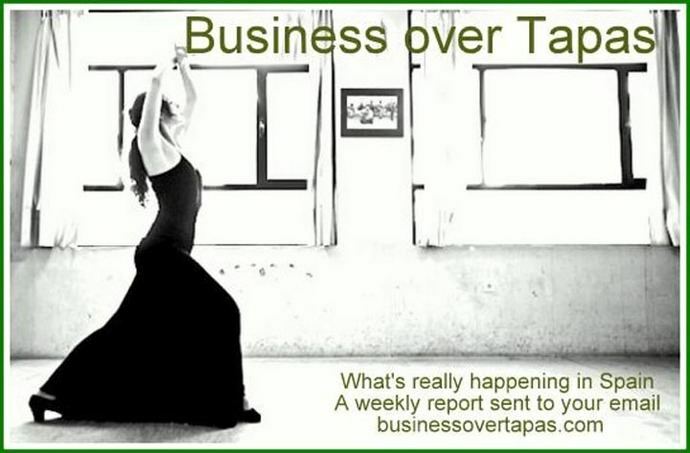 20ENE19.- For subscriptions and other information about this site, go to businessovertapas.com - email: businessovertapas@gmail.com - ***Now with Facebook Page (Like! )*** Note: Underlined words or phrases are links to the Internet. Right click and press 'Control' on your keyboard to access. Business over Tapas and its writers are not responsible for unauthorised copying or other improper use of this material. Subscription and e-mail information in our archives is never released to third parties. The, well let’s call it the compromise of Theresa May and her soft-Brexit has gone down the tubes, leaving two powerful sides that both agree on only one thing – not to hand over 39 billion pounds to Brussels. One by bringing a hard Brexit and the other by adhering to the European Union. While we would like to point out the bleedin’ obvious (sic), let us here just consider how these two courses would separately affect those Britons living in Spain – the 300,000 or so legally and the many more besides (how many? Who knows, who cares?). The Britons living in the rest of the EU-27 and the Europeans living in the UK, maybe five million or so between them, will no doubt harbour a similar opinion to the majority – but inexplicably not all – of those Brits who live here (or they certainly should). No deal or a full U-turn, the latter option to be prefaced by a ‘Peoples Vote’ (in which we expatriates will in many cases not be invited, once again, to participate). Our privileges here as fellow-Europeans were under threat from a Soft Brexit, but there was evidence of conciliation between the foreign ministries. We would have lost free movement and perhaps our voting rights (such as they are). We might have had to get Spanish driving licences and other useful paperwork that we should already have obtained anyway. In certain cases, possibly, some of us might have been deported as ‘not wanted on voyage’. But now, the game is truly afoot. A hard Brexit: a slap in the face to Europe, or a ‘Peoples Vote’ (with, one must hope and expect, the happy conclusion of a win for the Remainers). For the British living in Spain, that’s a frightening choice which others will be making for us, ignorant and uninterested as they most certainly are in our fate. A splendid home for sale in the Urbanización Raeiros, in San Vicente do Mar, Pontevedra, says Público here - a snip at 350,000€ with just the one little inconvenience: it has a demolition order hanging over it. From the legal department of Spanish Property Insight comes ‘Property portals have been scrambling to send frantic emails over the last month to expat clients (‘hosts’, in their terminology) informing them that going forward they will be passing on all their tax details over to the Spanish Tax Authorities as from the 1st of January 2019. They will request you to complete a tax form that will be relayed over to the tax office. If you fail to comply, you will no longer be allowed to do business with them. So what does all this even mean? It means that estate agents and property portals have been forced to turn into whistleblowers reporting all your rental income under threat of heavy fines...’. From El Español here: ‘Spain breaks new tourist record with 82.6 million visitors in 2018. Expenditure also increased by 3.1% with respect to 2017, and was close to 90,000 million euros’. Corvera, Murcia's 'ghost' airport starts up after a sixteen year wait. The new facility, which Aena will manage for 25 years, received its first flight this past Tuesday’. El País reports. From Sky News here: ‘Holidaymakers warned about villa scam risks. The scams involve criminals hijacking the details of overseas villas to trick sun-seekers into transferring them some money’. ‘Flu: The health authorities are warning people to take precautions and be aware of the sharp rise in flu cases after an increasing number of hospitalisations. It is moving down through Spain and is already above average in the Balearics, Navarra, Cataluña and Melilla. Coinciding with plummeting temperatures in the region, those most at risk are the over 65s who have been the target of a Ministry of Health campaign that began in October...’. More at The Olive Press here. From El País in English comes: ‘The Government presents 2019 budget but cross-party support not guaranteed. The plans would see the biggest rise in spending since 2010, but the weak position of Prime Minister Pedro Sánchez and instability in Catalonia mean they may not prosper’. ‘At the start of 2019 Spain’s economic data are clearly positive. GDP grew 0.6% in the third quarter of 2018 and is expected to maintain that rhythm in the final quarter. Annual growth last year will have been of the order of 2.4% and the government´s forecast for this year, adjusted downward because of the global tendency towards a slowdown, is 2.2%. 545,000 jobs were created in 2018, up by 3%, and the latest private forecast, from Manpower Group, is that this year another 404,000 jobs will be created, 2.1% more...’. Item from The Corner here (although not all financial data is as rosy as the article develops...). ‘Spain, the most mineral-rich country in the EU, could become a leading cobalt producer’ says El Periodico de la Energía here. We read: ‘Spain is well positioned to supply the metals needed to build the batteries of the future and thus develop Europe's renewables and electric vehicles, according to Primary Energy Metals, a Canadian company specializing in the cobalt, copper, nickel and vanadium business. Not only because Spain owns one of the leading mining industries in the Old Continent but also because it is considered the most mineralized zone in the EU. The diversity of its geological landscape, including one of the world's largest volcanic sulphide systems, has provided the country with a wide range of important mineral resources such as cobalt, copper, zinc, iron, nickel, gold and vanadium. The stable political situation, its favourable fiscal structure and its defence of mining are some of its advantages, which is making it an attractive country for foreign investment...’. Politics centres on Andalucía this week, where the three parties of the right, PP, Ciudadanos and Vox, have chosen Juanma Moreno (PP) as the new president of the Junta de Andalucía. ‘What will the new right-wing coalition government do with Andalucía after 40 years of socialism?’ – Analysis from The Local here. In his acceptance speech, ‘Moreno defended the agreement with Vox and attacked the inheritance from the PSOE. The PP leader points to job creation as the main objective of the Andalusian Government’. El País reports here. ElDiario.es says that you can’t be liberal and be in the same boast as Vox. Apparently, you can! What really happened were two deals – one between the PP and Ciudadanos, the other between the PP and Vox. Outside the Seville San Telmo buildings, ‘Feminist rally in front of the Andalusian Parliament: "Our rights are not negotiatable". Thousands of women, summoned by feminist groups, begin in Seville their protests against the policies of Vox. There are planned marches in a hundred localities across Spain’. El País reports here. Several thousand not-needed enchufados will soon be looking for a new job in Civvy Street, says El Español here. The dry season of the socialist party seems to be coming to an end thanks to the fragmentation of Spanish conservatism. Podemos no longer undermines the vote for the PSOE as much as Ciudadanos and Vox do, each at its ideological end, to the Popular Party. Thus, in the European elections, the PSOE would win with 22.1% and 14 MEPs, while the PP and Cs would tie with around 18.5% and 11 seats in both cases. Podemos would obtain 15.6% of the votes and 10 seats in the European Parliament, but the most alarming change would be the arrival of Vox with 13% and eight representatives to join the Euro-sceptic block led by Marine Le Pen. Analysis from El Español, with links here and here. The Mojahedin-e Khalq, the People's Mujahedin of Iran, '...an organization that used to feature on the US and EU terrorism lists, present themselves as the democratic future of Iran, but they have many dark aspects', says El Confidencial here. One of these issues is the financial support by this group of the Spanish right-wing Vox in 2014 to the tune of 800,000€. Remember the prank of some Spaniards hoisting a giant Spanish flag on the top of the Gibraltar rock? One of them, who later swam to safety back to a Spanish beach was the tall fellow with the half-English name (his mother, in fact, was Argentinean) Javier Ortega Smith, the mastermind and spokesperson for Vox. Gibraltar has a search and arrest out on him says El Plural here. ‘UK Defence Secretary suggests firing paintballs at Spanish Navy to protect Gibraltar’s waters. The number of Spanish ships entering British territorial waters rose from 541 in 2017 to 816 last year’. The story is at The Olive Press here. From El País in English here: ‘Spanish bank sends letter to employees in wake of spying accusations. The BBVA is alleged to have hired retired police chief José Manuel Villarejo to carry out industrial espionage in order to fend off an unwanted shareholder’. The article says that ‘...the espionage was allegedly conducted by a retired police chief, José Manuel Villarejo, who is currently in jail awaiting trial over “Operation Tandem,” an investigation into two decades’ worth of shady work he is alleged to have carried out for a long list of wealthy clients...’. There is a great deal of embarrassment and worry in high political, royal and economic circles as the ex-commissioner is now threatening to ‘reveal all’. ‘A fine of 58 million euros is cancelled for a paper cartel because it arrived five days late. The Audiencia Nacional knocks down the sanction of the CNMC (the monopolies commission) which considered "clear" the existence of an illicit coordination between eighteen paper and cardboard companies to agree on prices and sharing customers.’. Item from El Independiente here. From Europa Press comes: ‘Spain and the United Kingdom will sign an agreement on 21 January that will allow the British to vote in municipal elections’. Active and ‘passive’ voting rights? The text notes ‘...that councillors of British nationality in Spanish Town Councils – there are around 40 of them – can keep their positions until the elections, surpassing the date of the Brexit, March 29, 2019'. The Government of Spain has indeed opened a webpage in English which gives us the rules on Britons in Spain, post Brexit. The page is understandably being adjusted along the way following events in London. The ‘voting rights’ for Britons is presented here (note the final paragraph). From Reuters here: ‘The European Union could agree to extend the deadline for Brexit, but not beyond elections for the EU parliament due in May, Spain’s foreign minister said on Monday...’. From The BBC comes ‘Brexit: How would no deal affect UK citizens in the EU?’. From The Local here: ‘Brits in EU demand to be spared from Brexit 'train crash' after May's deal rejected’. Finally, from 20 Minutos: ‘Collateral damage following a ‘Hard Brexit’’. The article says that ‘President Sanchez has announced that he is working on contingency plans for a Brexit without agreement. These parameters, in fact, could be discussed in the Council of Ministers this Friday, as explained by the Minister of Foreign Affairs, Josep Borrell. It focuses on three particularly important issues: citizens' rights, civil aviation and fisheries...’. ‘A television without news’. The announcement of the end of Cuatro's newscasts raises a debate on traditional information on private television’. El País looks at the loss of Cuatro’s news service. News TV is very expensive and usually a loss-leader. Can the TVs afford it anymore? ‘Google launches an advertising campaign against the new European copyright legislation. The Californian company begins lobbying to refute some points of the legislative proposal with which it disagrees. The battle between Google and the European Union has a new chapter: Google's media campaign to alert citizens to what they believe would happen if the EU's Copyright Directive were to be reformed...’. Media-Tics has the story here. (Following on from last week’s editorial) ‘Empty and forgotten Spain: up to 1,360 villages have less than 100 inhabitants’ – a report from El Economista, who notes that ‘only 5% of her citizens reside in 53% of Spain’s territory’. ‘Spain’s open wounds decades after Franco’s regime, the country’s citizens continue to unearth the crimes of the past’. The New Yorker Magazine looks at Franco’s legacy here. Los Toros: From CNN here: ‘For its advocates, bullfighting is an indelible part of Spanish culture, a ritual that forms part of the nation's cultural patrimony, immortalized in countless works of art. Both professional bullfights and bull running events remain popular in Spain, especially in the summertime. However the sport has become increasingly politicized in recent years, and recent developments in the southern region of Andalucía have underlined bullfighting's new-found importance as a political symbol. In December, Vox, a far-right party known for its hard line stance on illegal immigration, won twelve seats in a regional election for the first time since the death of dictator Francisco Franco in 1975. This week, Vox used its position as kingmaker to join a centre-right coalition after making a deal with the Partido Popular...’. Madrid’s oldest bookshop closed its doors this week. Opened in 1862, the Librería Moya features in a TeleMadrid report here (video). From Hidden Spain here comes some bizarre images from photographer Cristina Garcia Rodero. ‘The reasons why Cádiz is so cool. Boasting a rich history, great food scene and wild landscapes, the province has been ranked on The New York Times’ list of best trips for 2019’. From El País in English here. La Division Azul: a seven minute video on the Spanish soldiers who fought for Hitler against the Soviet Union here on YouTube (en castellano).